Cryptocurrencies have gone beyond being used as a medium of exchange, and to transfer funds from one location to another at a fast rate. Lately, some cryptocurrencies have been developed to serve different purposes other than what it is known for, like Siacoin which was created to help the ever-evolving information industry. Siacoin has gained value with increasing popularity among cryptocurrencies. The crypto uses cloud storage option – storing virtual data in logical pools while physical storage spreads across several servers with the host of the storage saddled with the obligation of managing the availability, accessibility, and protection of the physical environment of the data – and is presently aggrandizing itself in price and market value. Siacoin (SC) is a decentralized cryptocurrency that confers its users with the ability to store, secure, and access large data at a relatively low cost compared to platforms with storage capabilities like Amazon, DropBox, Google Drive, etc. The Sia network is a peer-to-peer storage platform that allows people from different part of the world to rent out their free hard drive space. Users receive the Siacoin as a benefit for renting out their storage space. The coin is primarily used for data storage, with its blockchain technology ensuring the security of the data, and the host individual (provider of the unused space) rewarded for his rented storage space in Siacoin token by the user (client) of the storage space. Siacoin started from the need to create a system that poses as a crossroad for persons (hosts) with unused storage space, and clients that need unused storage space to save their data. This need was recognized in the 2013 hackathon conducted in the Massachusetts Institute of Technology. The goal was to enable anyone to lease their unused storage space in exchange for a reward. This idea was conceived by founder David Vorick gaining support from a crowdfunding in 2014, around that time, it was undergoing a testing phase. Currently, Sia boasts of the largest market capitalization among its two major competitors – Storj and Maidsafe. It experienced some challenges but recuperated and experienced enormous growth. It was less than a cent in November 2017 hitting a high price of $0.11 in January 2018. At the time of writing this article, the price of 1 Siacoin token was $0.017 with a market cap of $601,666,141, and it is ranked 36 according to CoinMarketCap. Siacoin like bitcoin uses a blockchain technology – a decentralized peer-to-peer storage ecosystem that stores a client’s encrypted data across multiple providers, denying the providers access to the stored data and enabling the client to access his stored data even in situations where the host is offline. The system creates an environment where the host sets a price, terms, and conditions for his service. These are stored in the blockchain system, which ensures the host and the client work according to the stated standards. The client receives a set of protection to ensure the safety of his data. The host is meant to provide proof of storage within a specific time, his inability to provide this proof of storage within the specified time results to the transfer of his payment to a missed proof account until an indisputable proof of storage is submitted. Free-market system: Sia as the most effective cloud storage amongst its contemporaries owes its efficiency to its ability to run as laissez-faire where hosts are allowed to set their prices creating a market where the most profitable host are those that offer the highest reliability for the lowest prices. Unlike the Storj that operates on a fixed pricing manner where hosts are given fixed rates by the system and the host works with these given prices. Security: Sia possesses the ability to spread a particular data across various providers to ensure safety. Also, it offers an opportunity for the real owners to retrieve their data even when the host or holder of the data is offline. Express service: Real owners of data can give incentives alongside storage fees to the host to ensure fast data upload in the storage space of the host. Host or holders of the data possess the ability to deny a client storage space if there are doubts as to the legality or ethicality of the client’s data. However, irrespective of the progress made so far it still requires some upgrades like the reduction of its processing times of contract from 1 hour to 5 minutes, reduction of the processing time of data recovery, and data sharing among Sia users. Siacoin can be obtained in BTC or ETH trading pairs from Bittrex, Upbit or Shapeshift. With Upbit and Poloniex accommodating much of the Siacoin. Siacoin can be stored in the Sia official desktop wallets on Linux, Windows, and Mac. You can download it from the Sia website. The Siacoin potential for massive growth is evident in its witty features like a decentralized package, free-market system, and a 24/7 access to data by the client. The project is no doubt a promising one. 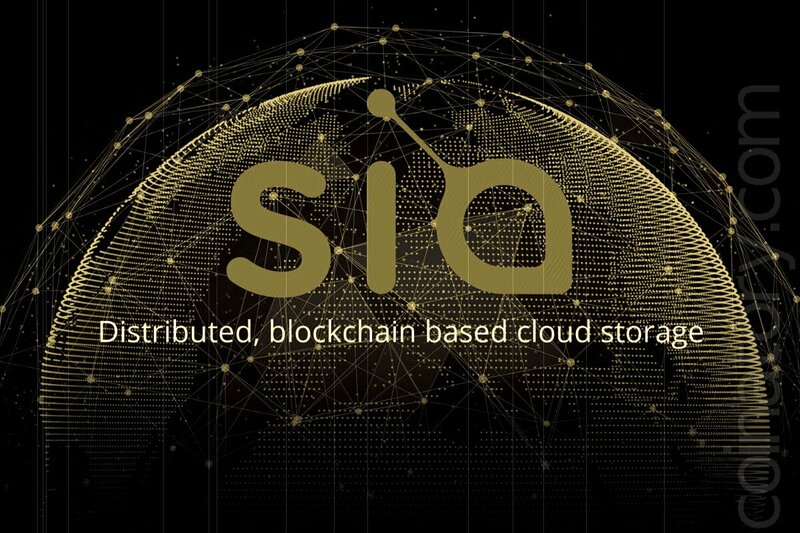 With this said, why hold on to your extra storage space when it can fetch you some Siacoins on the Sia network?.